We would like to thank Senior Sales Director, Carolyn Bishop for sending so many Referral emails during the month of March! 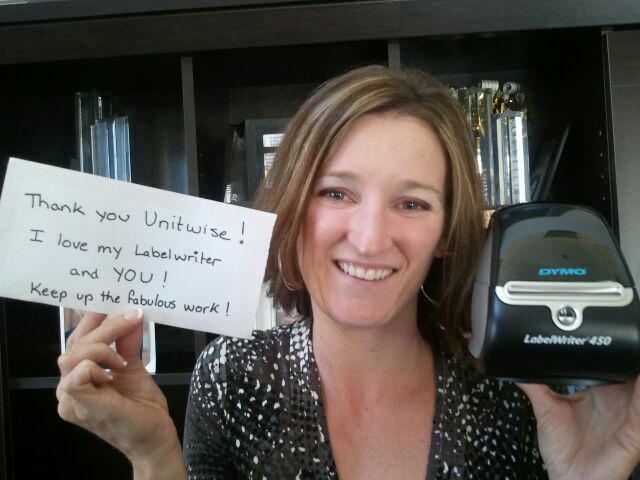 Carolyn was the winner of our Referral Contest and won this Brand-New Dymo LabelWriter 450! This Contest was held to celebrate our new Postage Feature with Dymo Endicia! If you would like to learn more about how you can print Postage from home without any monthly fees, Check Out This Video Guide! Thanks for sending the picture, Carolyn! 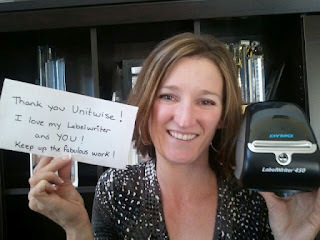 It's always nice to see pics of UnitWise in Action!